A safe place for conservative Republicans in Anne Arundel County Maryland to share views, get inside information and plot our way out of the wilderness. The Conservative Refuge Podcast is Back! For the kind few of you have have read this blog over the years and continued to check in from time to time you know that updates have been few and far between. I have relegated most of my blogging on political topics to RedMaryland exclusively. In addition, as I hope you know I have started my own law practice and have been blogging concerning various legal matters. I would urge those readers interested to check out those locations. As such, I will be using this blog to give some non-legal, non-political musings from time to time. I hope you might enjoy reading them. In any event, please tell me what you think. Hang in there. We will get there. This week a new session of the Maryland General Assembly will begin. Buoyed by their electoral success the statist democratic leadership in Annapolis is planning an agenda that looks all to similar to what we have seen in the last few years. Higher taxes, out of control spending, fiscal insolvency in public pensions, crony capitalism, more green agenda items that will raise the cost of energy, just to name a few. Even the death penalty and efforts to undermine the institution of marriage, sadly with the help of some Republicans, seem on the table again. For Maryland conservatives, six more seats in the House of Delegates and two fewer seats in the State Senate are the results of an election year which seemed so promising. The past is gone, however, and now we must gird ourselves for another year's fight against the ceaseless attacks on our liberty and property. We do have our friends, however. I would urge you to follow the blogs of both the Maryland House and Senate Republicans. We have a new party chairman who, I believe, can marry conservative ideology and common sense party-building, and yes fund raising. And now let me leave you with this which I hope may inspire you to charge with us headlong into this year's fight. Love this Clip! You Can't Stop Rock and Roll! You may have been reading about the resignation of Shirley Sherrod the local Georgia USDA official who may some racist remarks. What you may not fully appreciate is that Ms. Sherrod was part of the largest civil rights case against the USDA known as the Pigford litigation. The suit took advantage of a Clinton era internal investigation by the USDA finding pervasive and systemic racial prejudice in the USDA's farm loan programs. The Clinton administration, with the help of the Congressional Black Caucus, set aside half a billion dollars to settle claims under the class action suit. It was the largest settlement of a civil rights suit brought against the Government. With the settlement, individual plaintiffs could seek a single payment of approximately $50,000 (Track A) or go through a binding arbitration with no limit on damages. According to some sources, the number of claims for Track A exceeded the entire population of African American farmers in the United States. Needless to say, many claims were rejected but may unverifiable claims were paid simply because the settlement allowed for damages related to loan denials going back to the 1980's (for which the USDA no longer had documentation). Sherrod was part of a Georgia communal farm, known as New Communities, Inc., which was part of the suit against the Government. How do I know? I was working for the Department of Justice and represented the Government in this claim. Given the above mentioned settlement, the case was one of those Track B binding arbitration proceedings. Ultimately, New Communities, Inc., received nearly $13 million dollars. I had the chance to meet and depose many of those involved with New Communities including Ms. Sherrod. I can say it was many years ago but once I heard the name I remembered it instantly and was not surprised. These are militant activists who are hardwired to believe that everything in American society is racist. While Ms. Sherrod and her husband were very pleasent they were convinced that New Communities failure was due to racism and not some other reason. I read today in the Annapolis Capital that Del. James King is calling himself "the Conservative Choice" in his State Senate race against Ed. Reily. Clever tagline. Wish I thought of it. Oh wait, I did. The true irony, though, is that the guy who broke with his own party to vote for the Governor's slots plan and enabled the largest tax increase in Maryland history is calling himself the "Conservative Choice." It was with great sadness that I heard today that conservative activist and blogger Mike Netherland passed away suddenly. Mike was a leader in the conservative community in Anne Arundel County and pioneered the local Elephant Club's Public Square email forum long before the word blogosphere existed. Mike's own blog, Mike's Nether Land, emobodied his no holds barred conservatism and wonderfully unique view of the world. Mike even briefly blogged about his experiences as a MARC train commuter, a cirumstance that clearly consumed too much of his time. While Mike had his disagreements with me and a number of my RedMaryland colleagues, he was a loyal friend and true believer in the conservative cause. I can fondly remember him supporting conservative candidates (including myself) and causes without first considering what others were doing. But, of course, Mike was much more than this. He was a loving father, husband, brother and son. We pray for his family and friends who are mourning and we share their loss. 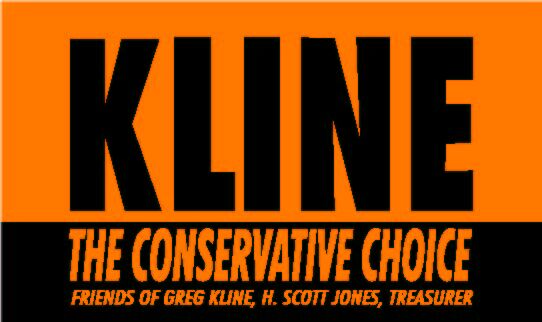 A long-time conservative activist and former General Assembly candidate, Greg Kline exploded onto the conservative media scene with his blog The Conservative Refuge in 2007. His unmatched Conservative Refuge Podcast covered local and national politics with Greg’s own unique brand of news and comment, regular roundtable discussions with leading bloggers and special guests. In addition to his work a a founder of the Red Maryland Network, Greg expanded these internet efforts into regular appearances on WAMD 970AM’s Word on the Street program with host Warren Monks, guest appearances on WCBM 680AM's Pat McDonough Show and regular guest appearances on The Right Issue produced for Comcast cable viewers in Anne Arundel county. When he is not spreading his unique blend of pop culture inspired wit and bedrock conservatism, Greg is an attorney and managing member of the Law Office of Gregory M. Kline, LLC Greg’s legal career has led him to represent a number of high profile clients often putting him in the middle of some of the hottest political controversies in recent Maryland history.